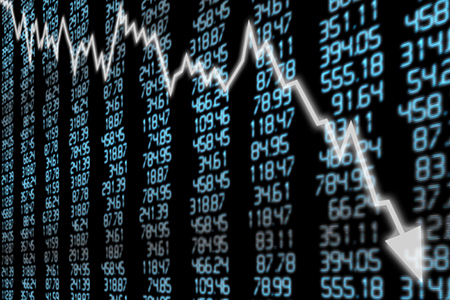 Is the stock market crashing? The short answer: no—the Dow is just a little bumpy right now. Monday’s Wall Street frenzy had people from all over the world fearing that a U.S. real estate bubble might be the culprit after the stock market suddenly took a nearly 1,600-point (4.6 percent) plunge. According to CNN Money, it was the biggest point decline in history during a trading day. However, experts say there’s no reason to worry. While homeownership rates and home prices are currently at an all-time high, they are not to blame for the market’s volatility. The real concern? Rising interest rates to combat inflation. Could stock market volatility and a thriving housing sector spur the Fed to raise rates? In order to understand how a stock market crash would influence the real estate industry today, it is important to look back on the significant impacts of the crash of 2008, says Valerie Post, partner at Engel & Völkers Boston. Post also says there was a lack of regulation and transparency from mortgage lenders, banks and financial institutions in regard to lending products and investments being created, and many did not understand these products. Many procedures and regulations have been implemented since then. According to Post, the real estate industry would see a very different impact if the market were to crash compared to the events of 2008. Economists say it is nothing more than a blip that will correct itself over time. While the stock market remains bumpy, it is showing recovery. On Wednesday, the Dow opened with a 127-point loss that eventually turned into a 381-point gain before the Nasdaq dropped down 1 percent, according to CNN Money. Thursday’s activity brought more volatility—the Standard & Poor’s 500 stock index fell over 3 percent and the Dow dropped 3.5 percent, according to the New York Times. Lawrence Yun, chief economist for the National Association of REALTORS® (NAR), also agrees that the sharp decline in stocks should not significantly impact the housing market because “underlying economic fundamentals remain strong,” according to REALTOR® Magazine. He says that correction is a natural part of the stock market’s cycle. Of course, the market’s volatility could influence homebuyers’ decisions. According to a recent realtor.com survey of 1,215 homebuyers looking to buy in the next year, 52 percent plan to use stock market proceeds to fund a portion of their home purchase. Ninety percent of these respondents said their decision was influenced by the stock market’s recent activity.